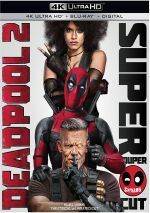 Deadpool 2 appears in an aspect ratio of approximately 2.39:1 on this Blu-ray Disc. This became a largely strong presentation. I also felt happy with the solid DTS-HD MA 7.1 soundtrack of Deadpool 2. The mix offered plenty of opportunities for lively auditory information, and it took good advantage of these. 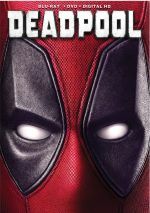 All the set’s extras accompany the theatrical version, and that’s where we find an audio commentary with director David Leitch, writer/actor Ryan Reynolds and writers Rhett Reese and Paul Wernick. All four sit together for this running, screen-specific look at story/characters, cast and performances, sets and locations, editing and cut footage, stunts and action, music, effects and related domains. Two Deleted/Extended Scenes appear: “Park Bench” (0:36) and “Hitler Coda Extended” (1:52). The former adds a brief clip during Wade’s attempts at suicide, while “Coda” presents slightly longer/altered version of the time travel bit already found during the credits for “Super Duper”. Both are inconsequential but fun. 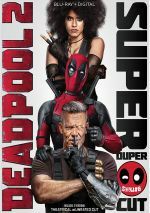 A rare sequel that outdoes the original, Deadpool 2 manages to couple the first movie’s positives with newfound depth. Add a fine turn from new castmember Josh Brolin and the second chapter tops its predecessor. The Blu-ray offers largely good picture along with excellent audio and a long roster of bonus materials. Deadpool 2 becomes a solid comedic adventure.